"Look at all those stars in the truck. It's delivering them to the night time." 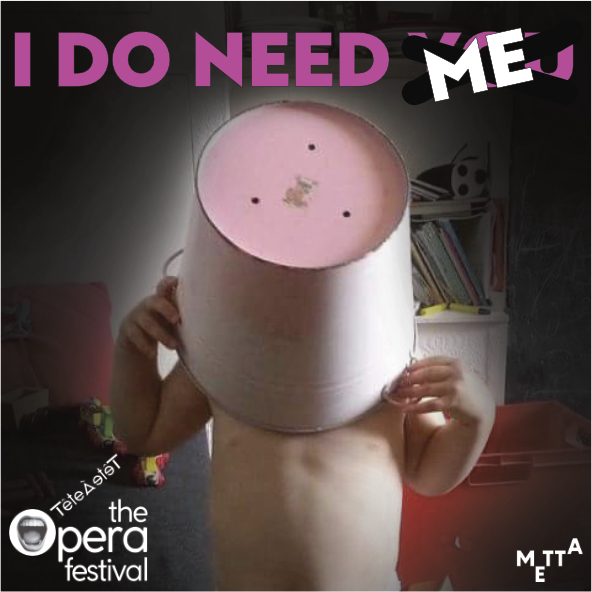 Hilarious, heart-breaking & profound I DO NEED ME offers an insight into the trials and tribulations of being two and three quarters. A show that speaks to the child in us all. Peculiar and poetic, the real-life words of a toddler are brought to boisterous life in this new solo opera through the anarchic noises of Oliver Brignall's (Roles V&A; Palace of Junk, Mahogany Opera Group) bold graphic score. Starring ENO Harewood Artist Will Morgan and Percussionist Nathan Gregory. "The girls didn't like it. They thought it looked funny. Bonkers and boisterous, the real-life words of a toddler are brought to joyous life in this new solo opera by award winning Composer Laura Bowler (BBC Radio Three) who's recently returned from creating a new opera in Antarctica. Starring Percussionist Nathan Gregory and non-binary soprano Alexandra Bork. Developed at the V&A while Metta were Opera Artists in Residence.